Ealing Cycling Campaign has won a legal battle against fast food restaurant chain McDonalds over safety on the East-West cycle superhighway. 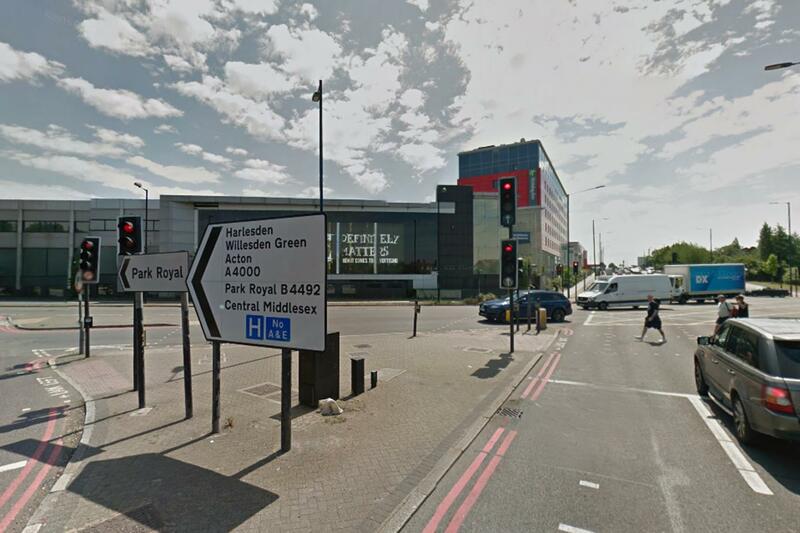 Ealing Council initially granted permission for McDonalds to build a drive-through restaurant on the A40 at Gipsy Corner, which included an access road from the A40 that would cut across the mayor’s proposed cycle superhighway. 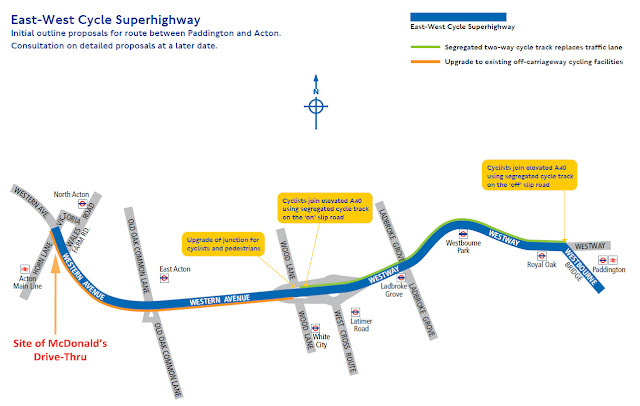 After Ealing Cycling Campaign raised concerns with the council and Transport for London about the danger that it would create for cyclists, the council revisited and reversed the decision. Following the refusal McDonalds submitted an application for an alternative layout for the site, with access from a different road, Leamington Park. But the chain also launched an appeal against the council’s decision, as McDonalds say they will secure more passing trade with direct access from the A40. Peter Mynors of Ealing Cycling Campaign presented evidence against the appeal, making the point that the London Cycling Design Standards require that cycle routes should logical and continuous, without unnecessary obstacles, delays and diversions – and that McDonald’s appeal proposal fails to meet these criteria. If there were no other practical means of accessing the site, there might have been a case – but the alternative scheme using Leamington Park for both access and egress has been accepted by everyone as workable. Andrew Gilligan, the Mayor’s Cycling Commissioner who attended as a third party, also opposed the appeal. McDonalds attempted to argue that as cycling in Ealing is less popular than in other boroughs usage of the cycle superhighway will be relatively low, but Ealing Cycling Campaign persuaded the Inspector that the very lack of cycling at the moment suggests the potential for a huge increase once the new and significantly better facilities of the cycle superhighway are provided.